HantsAstro.org- only three rules, that's it. Weather / News / Look Up! This is taken from the back of our membership application form. It's what we expect from everyone who observes with us. It's simple and uncomplicated as life should be, and as Astronomy is too. It might not be flawless, but then rules never are and it doesn't require reams of paper just so you can look through a telescope. If you need a constitution and lots of things that look like the flight manual for the Apollo Mission, then you don't dig what we are about; it really is just Practical Astronomy. HantsAstro believes in common sense as do you, as you are over 18. We could bury you under pages of rules and regulations, but we really are different. This is how we work: Arrive, Setup, Observe, Enjoy. Go Home. Leave the site as you found it, but never leave anyone alone at a site. That’s the only unbreakable rule and the primary one. Never observe by yourself. Astronomy will always come first... Anything else just isn’t cricket, if you don’t follow our etiquette (see our website!) you might not be asked back. No biting or pulling hair, stabbing of any kind, sleight of hand or fisticuffs or the only Northern Lights you’ll see are the blue one’s ... on top of a Police Car. Constitutions may be arbitrary, the Law isn’t. Neither are we. If you do not adhere to the above you will be requested to leave. In the day you can argue all you want, at night with us you can’t. As a member or Core Team member you are covered by our insurance but your own equipment isn’t, we’d advise you to get some. It’s dark out there and a broken mirror is 7 years bad luck! We don’t control the clouds so don’t do refunds, but we will if the issue is genuinely our fault. 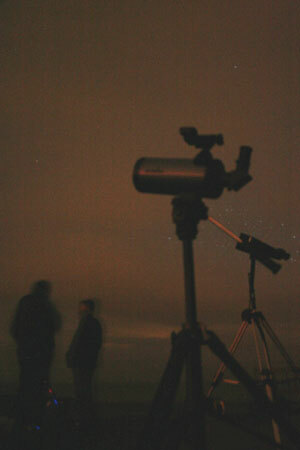 Astronomy is simple and so are our three rules and our ethos, break any of them and you’ll be out on your own. Serious stuff over, let’s go Play.